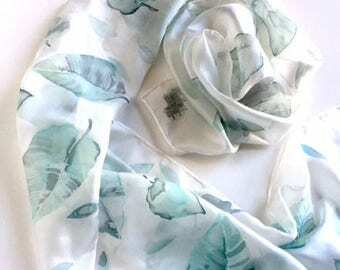 Announcement Hand painted silk scarves, shawls, silk art accessories, original paintings on silk and digital prints of my artwork. 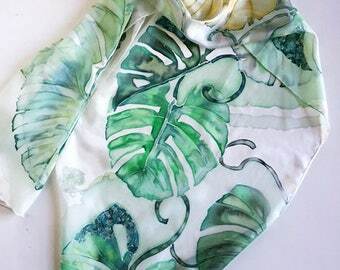 I paint on silk scarves which are all unique and hand painted. 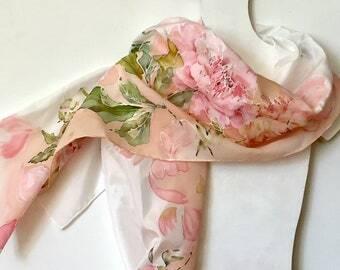 I accept custom orders and I love telling unique stories on silk. 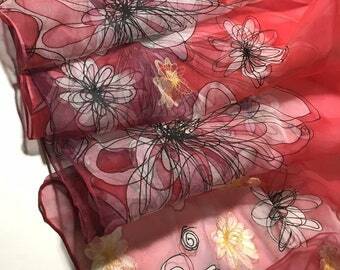 If you wish to order a silk scarf that has already sold, I can paint a similar scarf, however please note that due to the nature of handmade original paintings, all scarves will be slightly different. 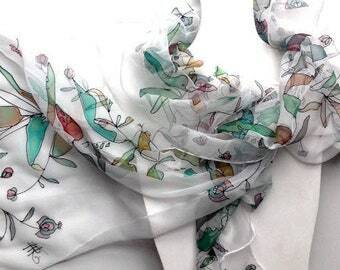 This means you will be the only person wearing this piece of art on silk! Thank you for stopping by and showing interest in silk painting - it's my biggest passion and I'm very lucky to share this with you. 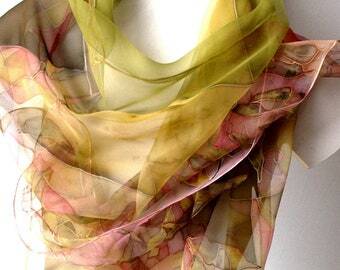 Hand painted silk scarves, shawls, silk art accessories, original paintings on silk and digital prints of my artwork. 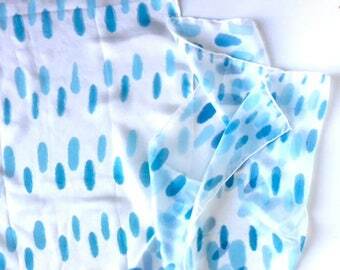 Polka hand painted silk scarf, wedding favours, something blue for bride or silk shawl for her shoulders. 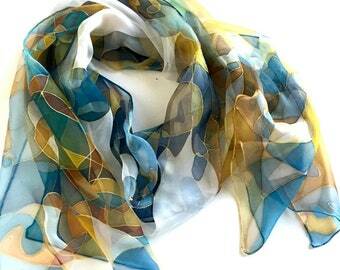 Watercolor effect scarf. Silk scarf with black violet and blue flowers on chiffon silk hand painted 18x72 inches. Original one of a kind creation. I am in LOVE with my scarf!!! Thank you very much Silkstory. Absolutely beautiful! Love it !!! I love mysterious woman character on my paintings. Cat often is there. Silk scarf - is my bread. 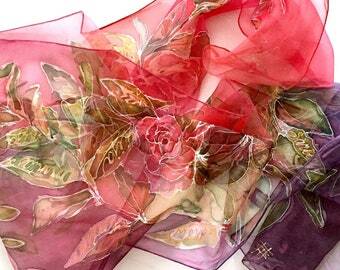 I do can paint them by free hand or with sketches..
For woman - never enough silk scarves..
Professional silk artist. HAnd painted art on silk items. Art is the way of my life -my passion! My life is simple - I am a vegetarian, love yoga, working on my silk paintings at home (in my kitchen, to be precise, after cooking family dinner, listening to my radio and making 'a room of my own', which has always been painting and creating visual stories). 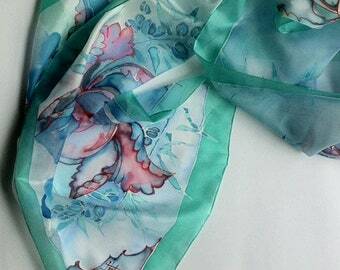 Every silk scarf were painted in wooden frames made by my husband. Silk scarves very good canva for letting out my ideas. I am very happy when somebody finds her or his story in my works! Art is the way of my life -my passion! My life is simple - I am a vegetarian, love yoga, working on my silk paintings at home. I would love to live only from my creations.